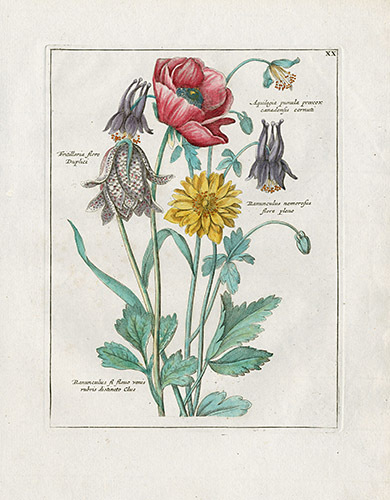 This entrancingly beautiful work is one we have loved for a very long time. 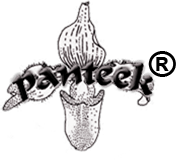 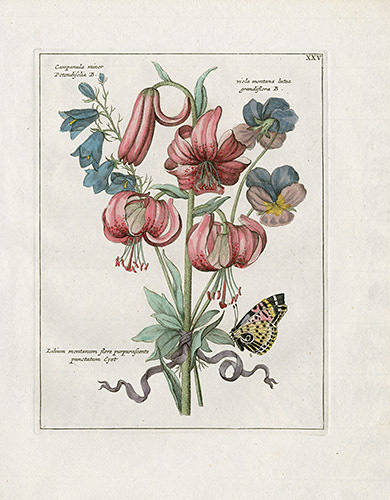 It is elusive as only 66 copies were known to have been issued, making it one of the rarest publications of its type. 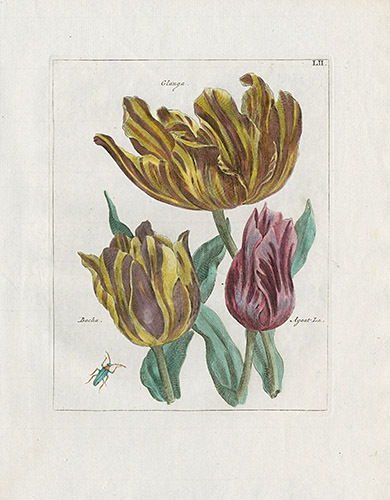 It is a testament to the era of Tulipomania in Holland, when a single tulip bulb fetched ten times the annual wage of a skilled craftsman, or more than a family dwelling or farm. 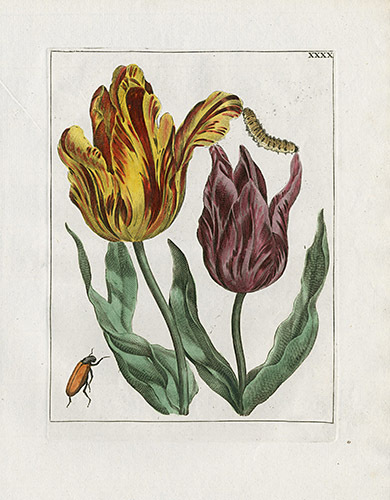 The world has become all too familiar with this type of speculative bubble, but Tulipomania was amongst the first. 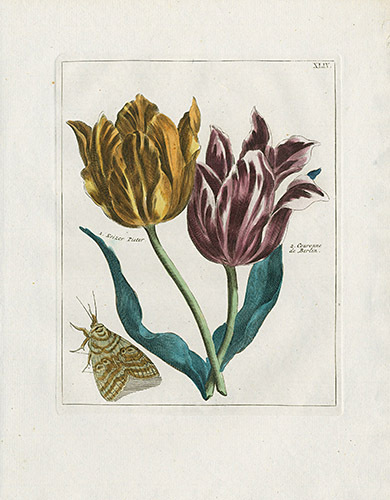 The Dutch pioneered the cultivation of bulbs of all types from the 1600's, to this very day, when the majority of commercial bulbs still come from the Netherlands. 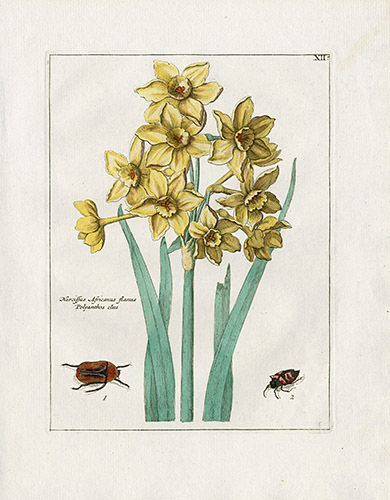 The disruption of two world wars in the 1900's caused the development of bulb farms in Washington State in the US, which now grows 95% of narcissus bulbs and a selection of other bulbs, including tulips, for the world market. 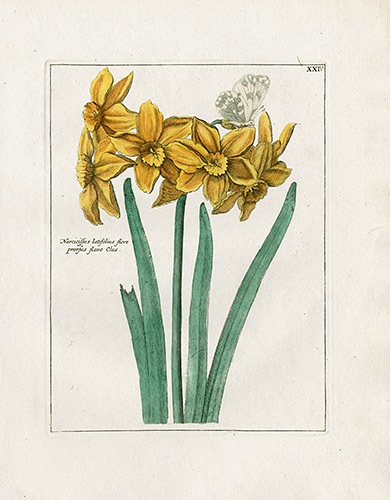 These US bulb farmers are largely of Dutch origin and the tulip festival and blooming fields of the Skagit Valley are a fabulous sight in spring. 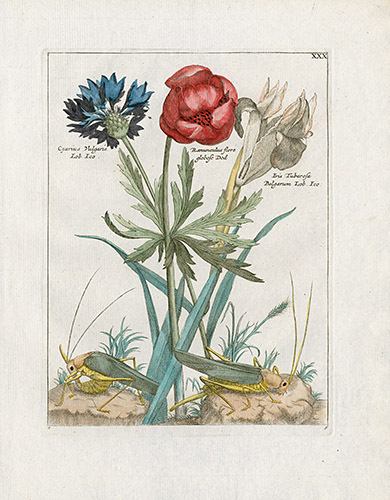 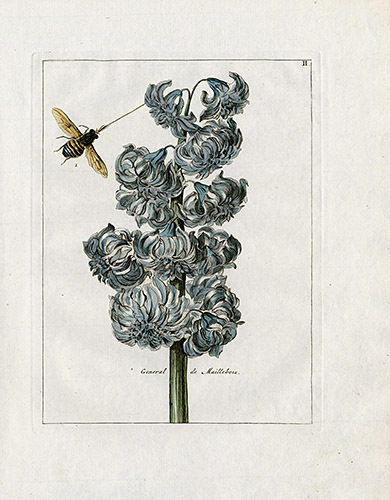 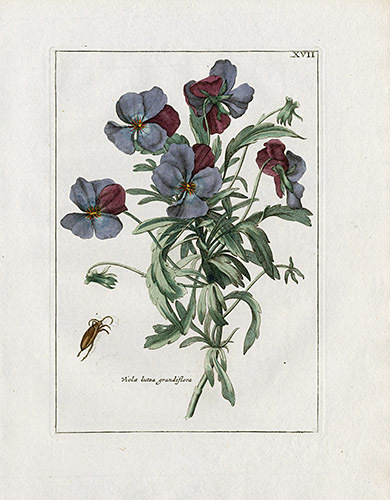 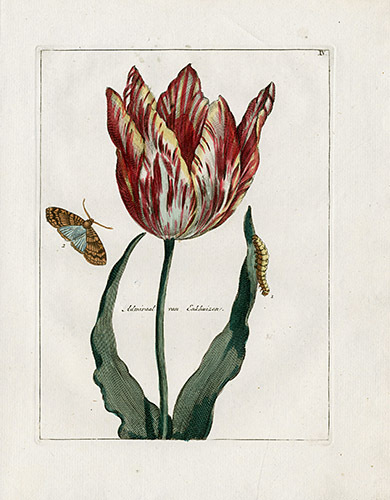 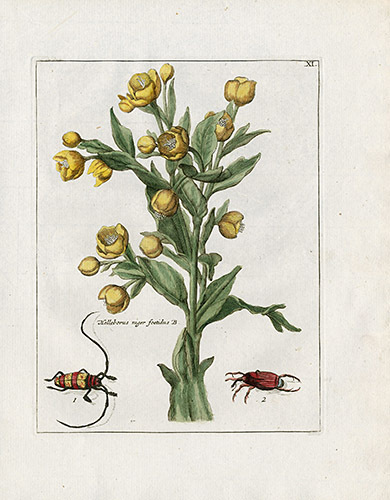 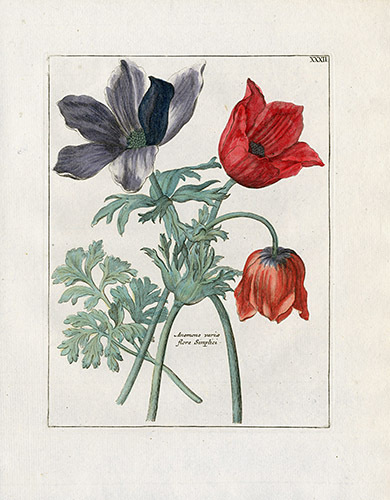 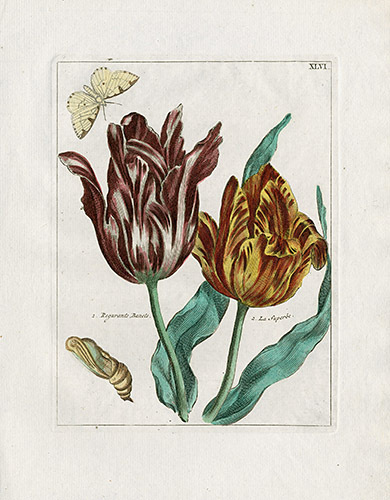 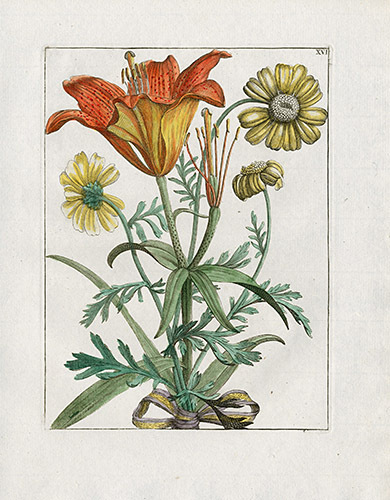 Originating in Central Asia & Turkey, tulips came to the Netherlands partly through Carolus Clusius, when he established his botanical garden for ornamental plants, Hortus Academicus, in Leiden around 1594. 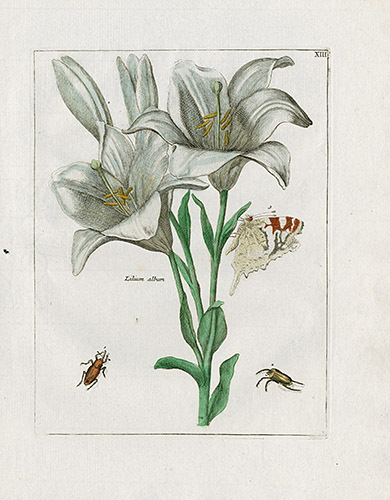 Legend has it that the Dutch did not want to pay his astronomical prices, and the bulb industry was founded on stock pilfered from this garden. 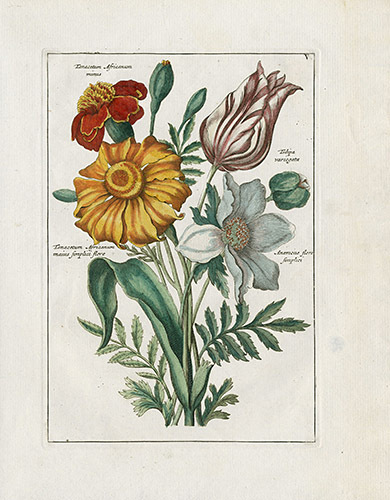 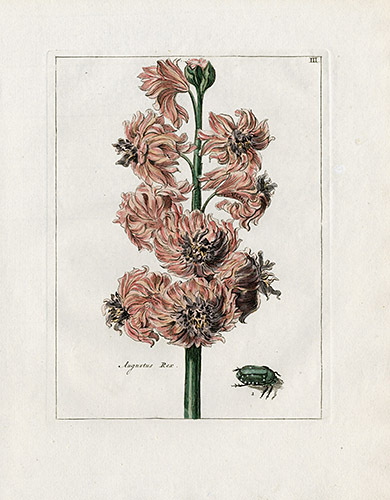 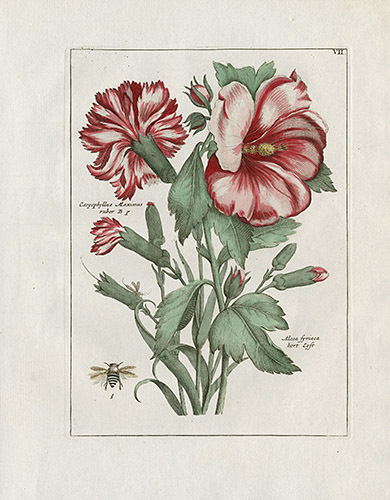 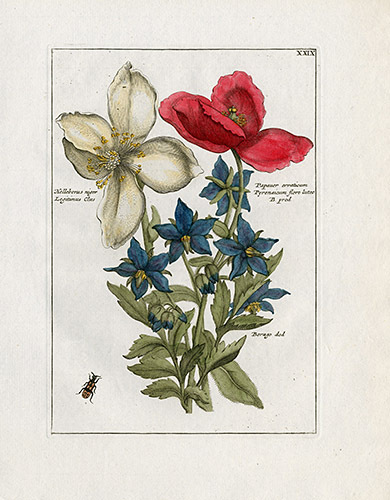 Nederlandsch Bloemwerk, or Dutch Floriculture, showcases the very most spectacular tulips, hyacinths, narcissus, peonies, roses, auriculas, iris, crocus and all the splendid species that were so coveted in the time. 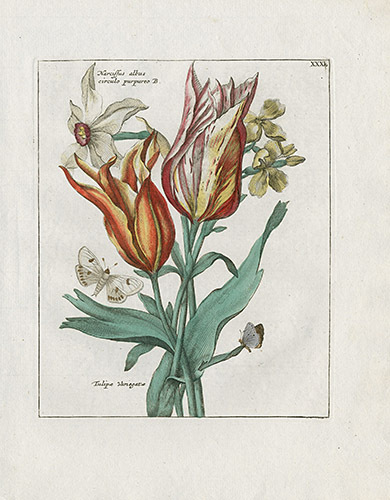 Over 800 tulip species are named, divided over 16 cultivar groups. 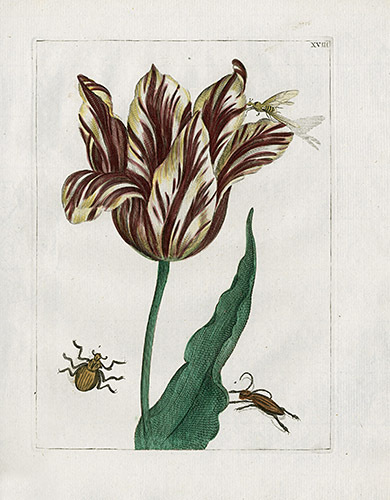 The most desirable tulips of this period were the striped tulips, with their remarkable striped coloration, actually caused by a virus. 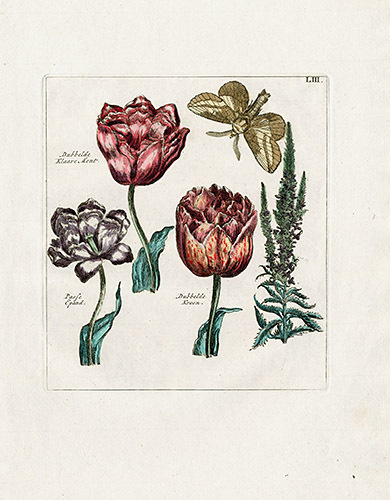 These are the tulips painted by the Dutch Masters, such as Jan van Huysum & Jan Breughel the Elder. 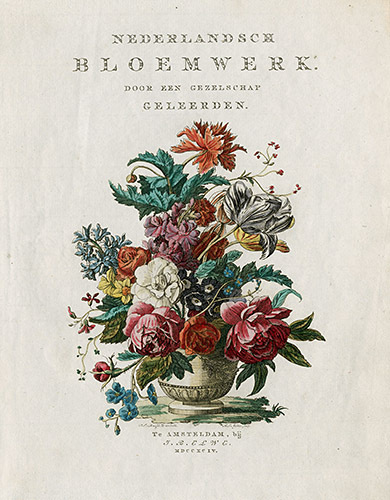 The frontispiece drawn & signed by Paul Theodor van Brussel (1754-1795) for Nederlandsch Bloemwerk is a superb illustration very much in the manner of these Dutch masters. 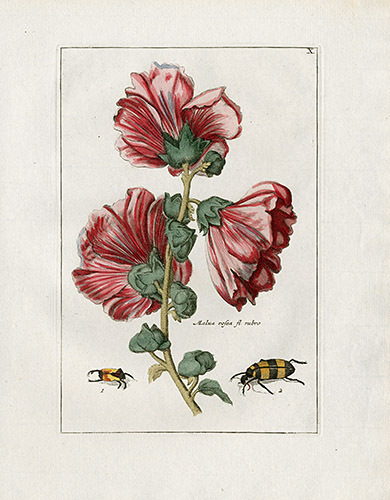 The remaining 52 prints in this work are not signed, but believed to have been drawn also by van Brussel. 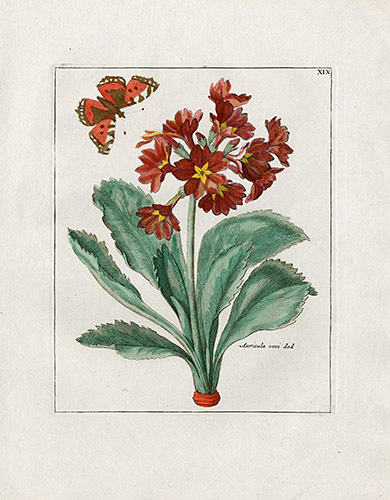 The hand coloring on these copper plate engravings is vivid, still fresh and vibrant, and very much in the exuberant 16th century manner. 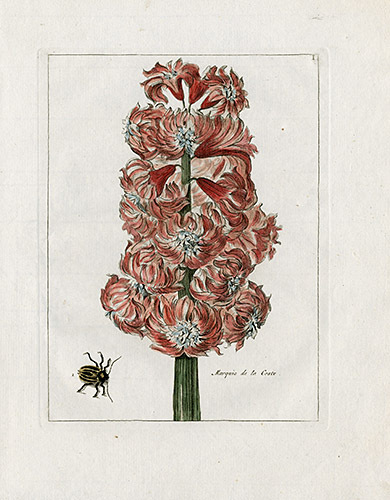 The paper is strong & chain lined, softly white in color, measuring approximately 8 by 10 1/4 inches. 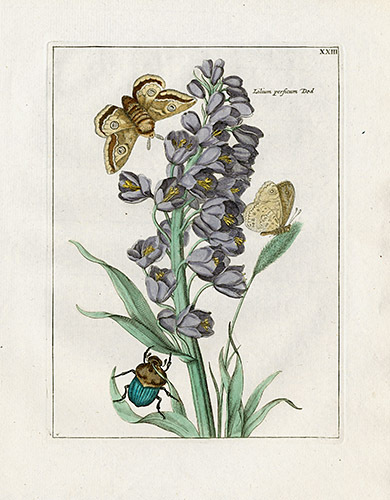 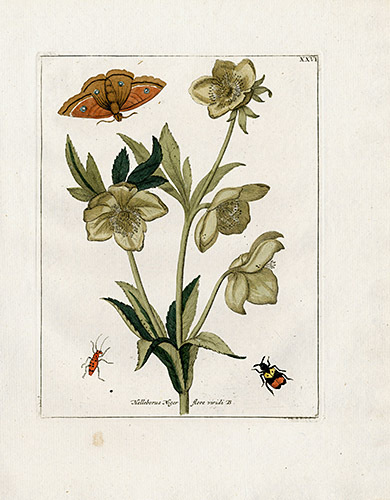 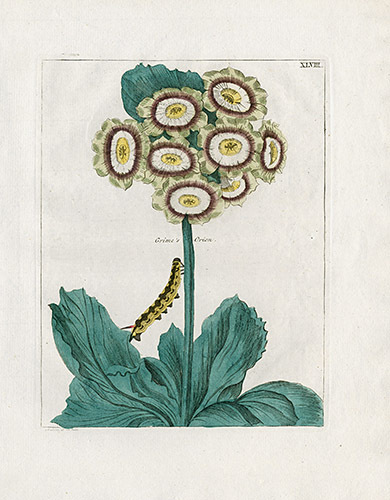 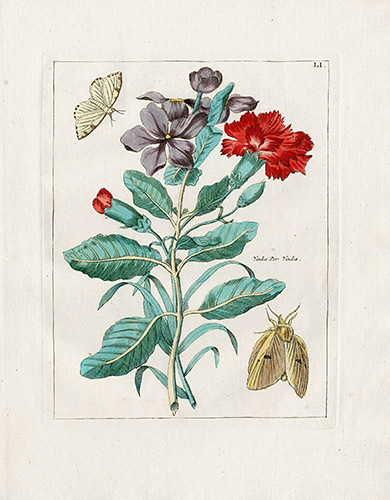 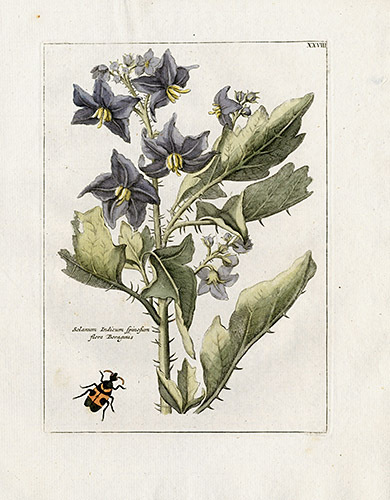 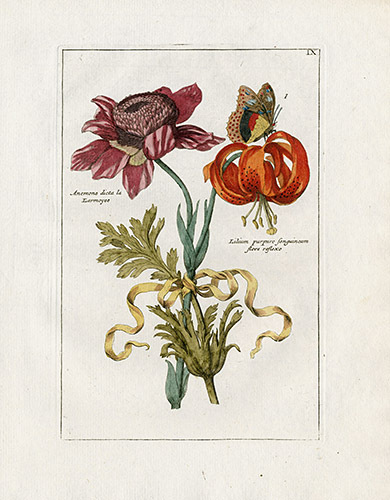 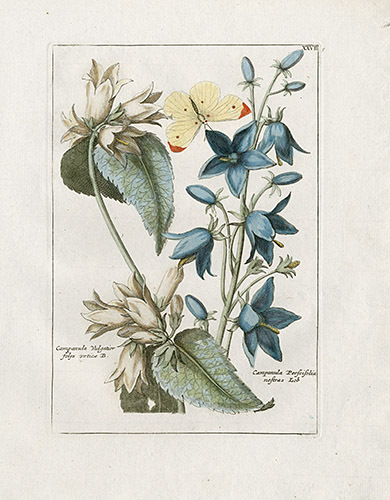 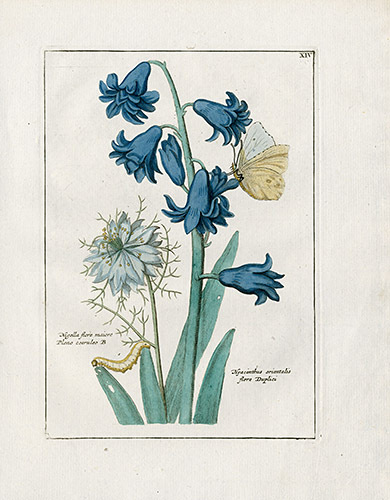 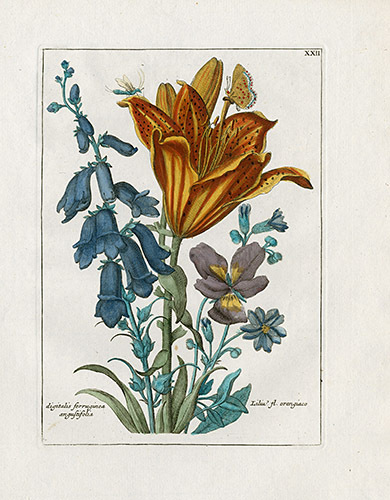 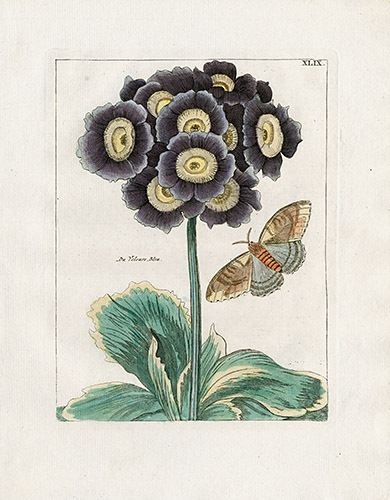 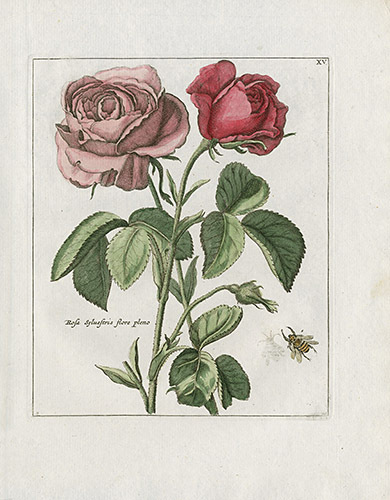 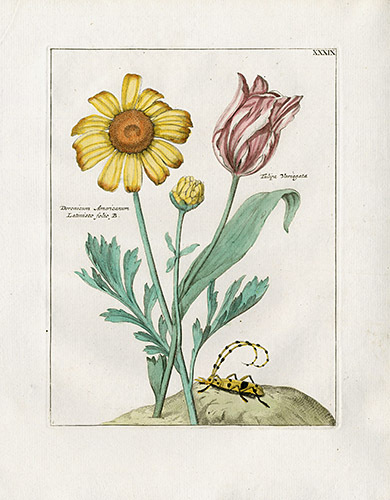 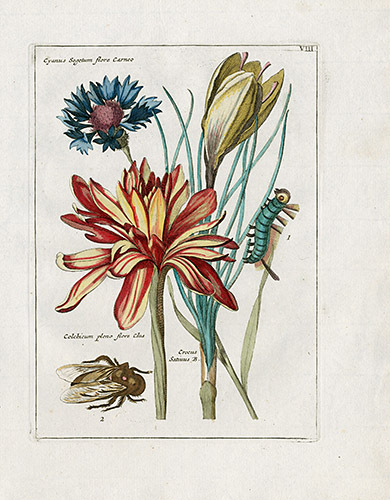 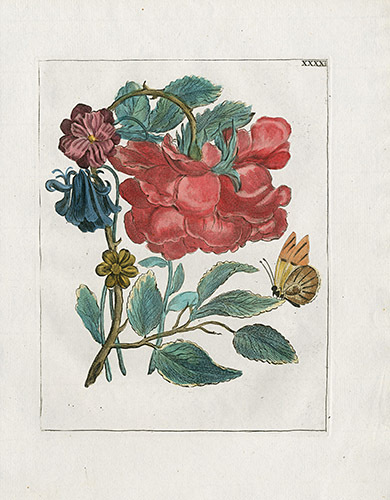 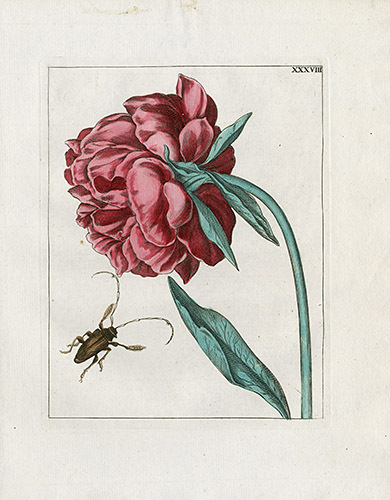 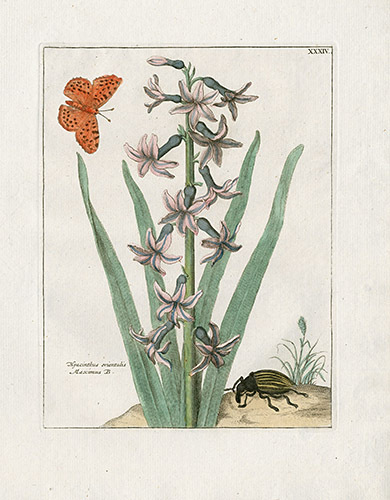 The compositions are also evocative of the Dutch artist, Maria Merian. 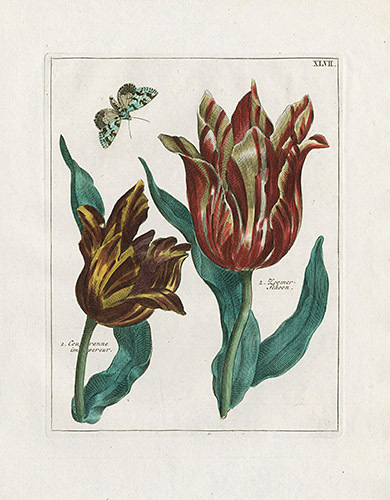 If ever the print enthusiast thought to partake of an especially rare print for the holiday season, this would be the time, as these prints are so very unlikely to come our way again. 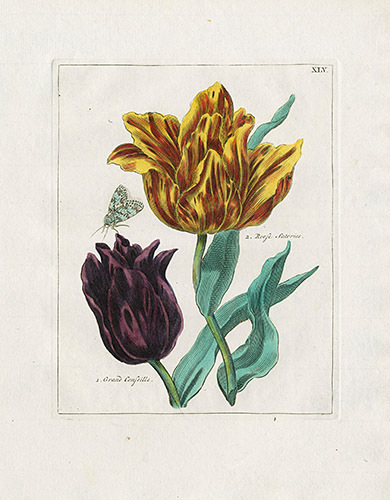 With only 66 known sets, we are honored to present them to our appreciative audience.